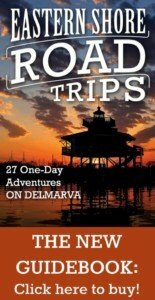 This is a free excerpt from the chapter, “Talbot County Backroads,” in Eastern Shore Road Trips: 27 One-Day Adventures on Delmarva. In addition to this section on Unionville Road, the chapter features stops in Bozman, Neavitt, and Claiborne, as well as at the Oxford-Bellevue Ferry, the Pickering Creek Audubon Center, and more. Let’s start in Easton, at the intersection of the bypass and Route 33. Turn toward St. Michaels with all the rest of the straight-and-narrow traffic and you will soon come to a light at Unionville Road. Turn right, heading north. It’s only a couple of miles long from start to finish, but this road packs a lot of cool stories and sights into its short length. In short order you will come to a bridge over the Miles River. That name, by the way, started out as the St. Michael’s River, just like the nearby town, before getting whittled down over the years. The land on the far side of the bridge is known as Miles River Neck, and it presents itself with a scene that seems a better fit for the countryside of Ireland than the Eastern Shore. The granite ruins of an old Gothic Revival church are center stage here. Built in 1839, St. John’s Episcopal was financed by Miles River Neck landowners who were tired of making a long, bridgeless journey every Sunday to church in St. Michaels. The church was short-lived—it was declared unsafe for occupancy way back in 1900, and it has been falling apart here ever since. Making your way up Miles River Neck, it’s time to set the scene in your mind’s eye. In 1856, a man named Ezekiel Cowgill moved here from Delaware, taking over a plantation known then and now as Lombardy. That’s when people started calling this stretch of Unionville Road “Cowgillstown.” Small shacks lined both sides of the road leading up to the turn off for the plantation, housing a mix of free blacks and slaves. Just about every house had a little vegetable patch. Most probably had chickens, goats, and pigs as well. Can you see the kids running around, the women at their laundry, and the men chopping wood? Lombardy Plantation ran to more than 300 acres, but the story here on Unionville Road is much more interesting than a standard-issue tale of rich and poor living side by side. For starters, the Cowgills weren’t all that rich. 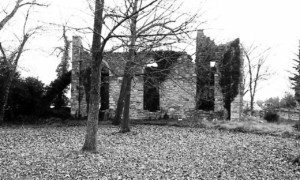 The mansion at Lombardy had burned down before Ezekiel bought the place, and the soil on all those acres had been worn out after many decades of mismanagement by previous owners. The Cowgills did not attend church at St. John’s. They ventured across the river to Easton to attend services at the Third Haven Meeting House. Most Quakers at this time landed on the abolitionist side of the great, dividing issue of the times, and the Cowgills were no exception. They used only free black labor at Lombardy, no slaves. While living in Delaware, Ezekiel had traded letters with famed Underground Railroad leader Thomas Garrett, a tantalizing factoid that has led some historians to wonder whether at some point he was actively helping slaves make their way through Delaware and on to freedom in Pennsylvania. Here in Talbot, Ezekiel referred to his neighboring plantation owners and slave holders as “the Goliaths, Nebuchadnezzars and Pharaohs of the peculiar institution—can I desire to fraternize with such and to partake of their abominations?” His son, John, would claim later in life to have cast one of the two votes that Abraham Lincoln got in Talbot County in the election of 1860. The Civil War brought a world of change to Miles River Neck. In the summer of 1863, an army recruiting officer showed up, seeking out black men interested in earning their freedom through military service. About a hundred men reportedly followed that recruiter into Easton to enlist, most of them slaves from Wye House, owned by the Lloyds. It’s hard to tell for sure whether this next anecdote is legend or fact. But a newspaper account written long after that day estimated that the then-Master of Wye House, Col. Edward Lloyd VII, lost a small fortune that day, given that the going price for a young black man was about $1,500. The transformation of old Cowgillstown into Unionville began shortly after the war. Ezekiel and John Cowgill offered a deal to veterans returning home after serving with the U.S. Colored Troops. If they would all agree to work together to build a school and a church, the Cowgills would lease each of them a piece of Lombardy land so that they could start up a town of their own. But the community survived. By 1877, an atlas of Talbot County was using the new name of Unionville and describing a “Colored M.E. Church,” a school, and a couple of dozen houses. 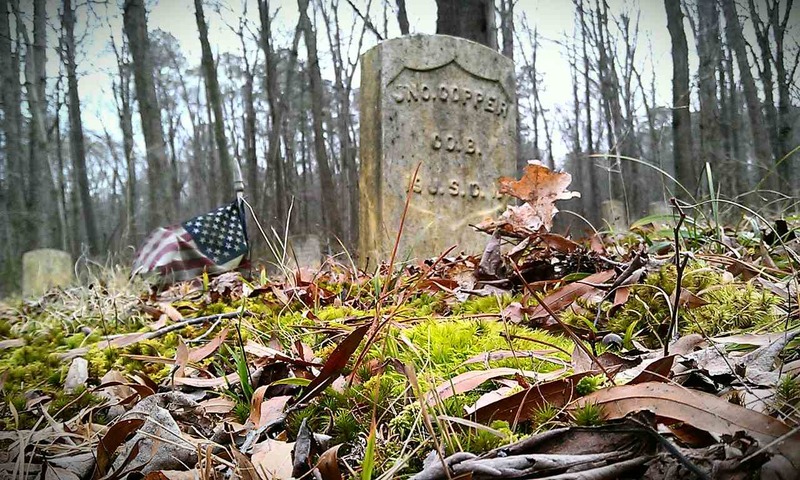 Most all of those USCT veterans are buried today on the land behind St. Stephens AME Church. There is a historical marker there, too. It’s pretty much the only place in Unionville where you can stop and see a little something and think about all the crazy twists and turns in the story of how this little town came to be and what it has to say about the Eastern Shore—and the whole country, really. 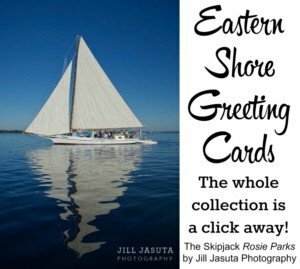 Here is where you can learn more about where to buy Eastern Shore Road Trips, including at events and stores, as well as online. 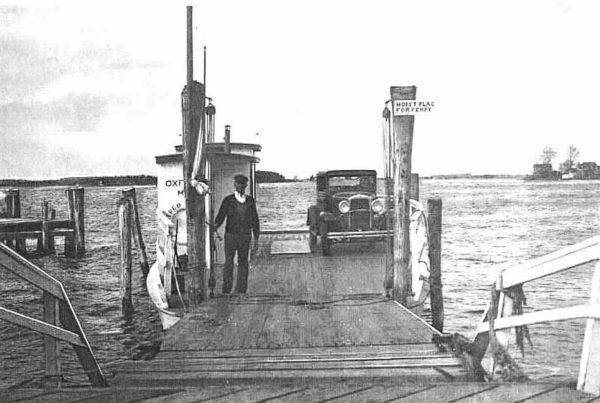 The book features 27 different trips from down in Cape Charles to up in Chestertown. Thank you for reading! Previous PostThe Secrets Christmas Agenda 2016!